Experience high-quality audio with HD Voice and a run-up microphone. Perfect for both calls, music and multimedia. The run-up microphone has 360 degree coverage and captures sound from all directions. Connect in just a few seconds to your laptop, mobile phone or tablet via USB or Bluetooth. 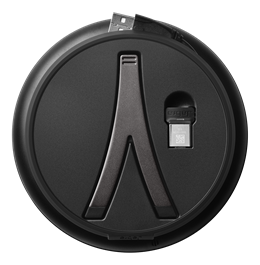 Take your Speak 710 with you wherever you go - lightweight design (298 g), protective travel case and 15 hours of battery life. 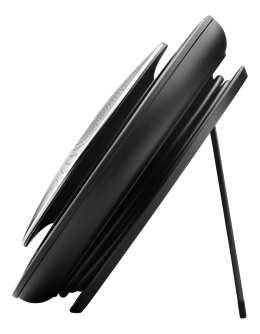 Want to experience real stereo sound or are you going to hold a bigger meeting? In a few seconds, you can pair two Speak 710s and easily have a meeting of twelve people or listen to music with even better stereo sound. 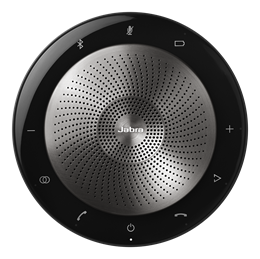 All Jabra USB headsets and conference devices work together with the most popular internet-based call services. Jabra's products can be used immediately when you take them out of the box and give you both amazing sound quality and superb comfort.